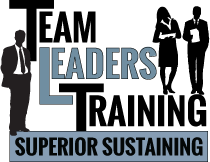 Team Leaders Training is an online private practice consulting firm dedicated to maximizing leader and team development potential. It involves a result-based approach that is simple to grasp, retain and implement. Organizations built to last must have innovative leaders and team members who can deliver on the mission’s promise. Successful companies need to build a culture that strengthens: commitment, cooperation, common mission, shared values and accountability. Recent neuroscience has researched the neural basis for exceptional leadership and team practice. Despite the great value that business places on intellect over affect, the latter is more powerful than the former. In moments of high visceral stress, a region of the emotional limbic brain known as the amygdala, acts like radar and commands the rational center in the neocortex. In these stressful situations, we are likely to find ourselves swept away and hijacked from reason. I have developed a “Neuroscience Based Interoceptive Mindfulness Training ” program that focuses on leadership and team development in context of brain physiology. Through visceral use of the body by way of the breath, executives can interrupt strong instinct driven conversation, slow the heart rate, lower the blood pressure and offer an opportunity for proactive rather than reactive decision-making responses. Consequently there is more time for emotional impulses to follow the extensive circuitry that goes from the amygdala to the prefrontal area, the brain’s executive center. This region can veto strong affective drives and enable leadership interventions to be aligned with corporate values. Neuroscience Based Interoceptive Mindfulness Training exponentially strengthens leadership competency by fortifying smooth operation of the prefrontal-limbic circuitry. Neuroimaging experiments using FMRI, have examined the brain neural substrates of decision-making. Results demonstrate that this type of mindfulness training enhances neurobiological constructs such as self-awareness and self-management while decreasing susceptibility to unintentional blind spots, thereby strengthening critical decision-making. This program creates blueprints for organizational revitalization. It explains neuroanatomy of leadership and the neurologic basis for leadership competencies, while providing guidelines that build the associated skill sets. Teaching neuroplasticity is the empowering route to exceptional performance by training self directed re-wiring of the brain. This added dimension to Emotional Intelligence significantly helps executives walk the talk of their companies commitment, cooperation, common mission, shared values and accountability. They increase their competency to regulate emotions, collaborate with and influence each other, wisely cope with disruption, strengthen relational interpersonal communication under stress, sustain efficacious problem solving under pressure and bounce back from unavoidable obstacles. Achieving entrepreneurs need to learn how their brain works to better work their brain. Choose from online seminars or private individual teleconference consults to discover “must have” solutions for outstanding productivity. Save years on trial & error learning. Customized coaching addresses specific client difficulties, while improving skills and promotional potential. Based on years of implementation, this program has enabled participants to turn professional difficulties into significant opportunities for growth and career advancement. Valuable action plans are provided with the essential knowledge and methodology necessary to build highly effective leaders and successful teams from the ground up. All training material is included in a summary workbook for long-term reference. ABOUT THE CEO: ALISON KURSH is a corporate psychologist, motivational speaker, neuroleadership coach, and team building expert. Her goal is your success. She holds a Ph.D. and has more than 33 years of experience in group dynamics, team development and leadership training. Through entertaining case illustrations, solid principles, and a highly engaging presence, Dr. Alison Kursh makes learning come alive and effectively connects with participants to help fulfill their aspirations. Contact me to develop a tool kit full of remarkable results! Result Based Measurable Programs Producing Superior Sustaining Performance! Copyright © 2019 Team Leaders Training All rights reserved.